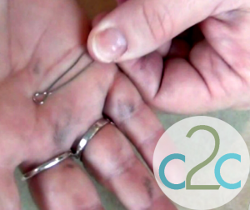 Make trendy DIY jewelry crafts without breaking the bank or using complicated tools. 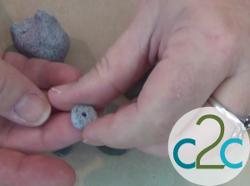 For this Clay Stacked Stone Necklace from Candace Jedrowicz, roll out the pieces to create your shapes and then use simple jewelry making tools to finish the job. This is a great project for beginners. 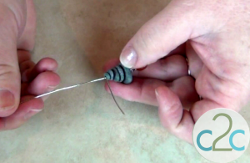 You can find this project, as well as many other Polymer clay tutorials, in our free eBook, 24 Polymer Clay Tutorials: Polymer Clay Jewelry, Decor and More! Condition a pea sized piece of polymer clay. Flatten slightly. 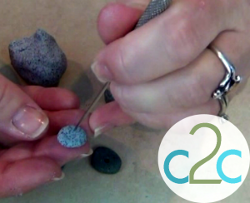 Make a hole with a needle tool or toothpick. Repeat for 4 or 5 beads making each a little smaller than the one before. Make sure the hole is large enough for 2 wires to go through. Bake as directed. Cut a piece of 20 gauge wire 5″ long. Fold in half around the round nose pliers. 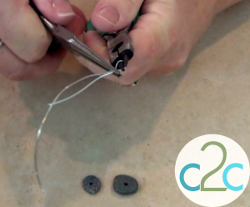 Crimp the wire while it’s still on the pliers. Slide a charm on to the wire. 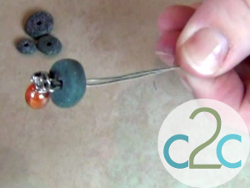 Slide your stone beads over both ends of the wire. 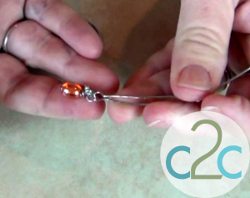 When all the beads are on, fold one wire tail down. 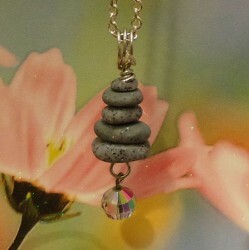 Hold the loop under the stone beads and wrap the bent wire around the straight wire. Trim excess from the wrapped wire. 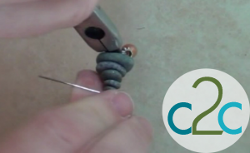 To make the bail, wrap the straight wire once around the handle of a needle tool (or paint brush). Wrap the wire around again, crossing over the first.Wrap the tail around under the crossed loops. Pinch the loops together. The crossed side is the back of the bail. 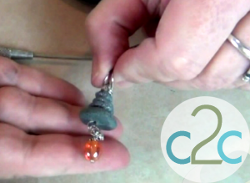 For a comprehensive video tutorial of this project, check out Clay Stacked Stone Necklace.